God said “Missions”… now what? Your friends figured it would happen. Your parents feared it would happen. Even you are not surprised… God spoke, and now it’s your move. What do you do now? This post is kicking off a series on the “Process” of embracing God’s call to missions and moving forward in that calling. Depending on your age, you may or may not be surprised that God is inviting you to take part in this aspect of ministry, it all depends on when the call comes. 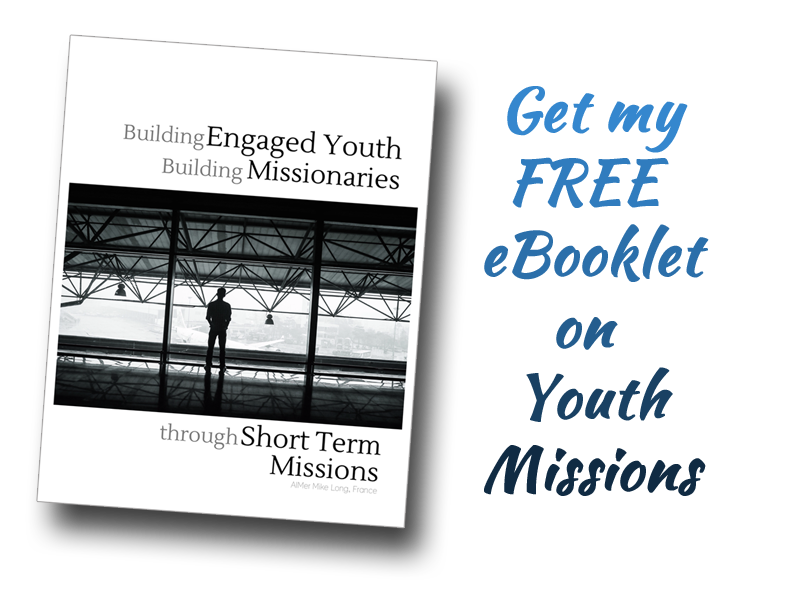 The very first time I knew that short term missions would be part of my future came when I was sixteen and on a summer youth mission tour in Monterrey, Mexico. That wasn’t my first time on such a tour, but it was the furthest away (Prior to that we’d been in Corner Brook, Newfoundland, Burlington, Ontario and Narragansett, Rhode Island) and it was my first time on an airplane. We more or less knew the drill, as the process was similar each year: prepare vacation bible school material, practice puppet skits, get together a musical that would be interspersed with various testimonies and be prepared to have your comfort zone stretched. I don’t remember what it was about that trip in particular, perhaps just the fact that it was outside of North America, but coming back I knew that short-term missions would be part of my future. Fast-forward a couple of year to 1988 when I began attending a Christian liberal arts college in Moncton, New Brunswick. I heard about an opportunity to spend two months the following summer volunteering in either Belgium or Bolivia. Since I spoke French well and spoke no Spanish at all, the choice was clear: Belgium. In 1989 I was one of six or seven young people from across Canada who would spend two months working with two missionary families and three 2-year volunteers. Our goal was to help establish a new daughter work as well as lend a hand with youth meetings, camps and services organized by the two mother-churches and the national work. The setting was new, but the task list was not. During that summer, as had been the case in Mexico, I came home knowing that God was calling me to an even greater involvement. I knew that I would come back to be one of those 2-year volunteers and in 1990 that’s just what happened. I spent from 1990-1992 living in the southern Belgian city of Liège, working with career missionaries in the establishment and growth of a new church. Active participation in my youth group, led to summer mission trips, which led to 2-month and 2-year mission projects, which led, 14 years later, to a full-time staff position at Mission Point, in my home town of Saint John, NB, Canada. Then, once again, God said “Missions”, which has led to what appears to be another 15-24 month assignment, this time in France. If you’re reading this as a young person, don’t think that your faithfulness is of little value right now. God sees it and is taking note. You are in training for something bigger. How about you… what has God spoken and how have you answered?